The new menu launched today at Mary King’s Coffee House, and we want to tell you all about it! Mary King’s Coffee House has an exciting new menu which is full of exceptional Scottish flavour and authentic local produce to tantalise the taste buds. Our fantastic new range of outstanding fresh soup and sandwiches are made daily on site, and our five star trained team provide service with a smile. We now serve Brodies Fairtrade Tea and Coffee which is locally roasted in Musselburgh, just seven miles from The Real Mary King’s Close! Brodie’s have blended tea in Scotland for over 100 years and have been a member of the prestigious Tea council since 1979. Our delicious cakes, pastries and tray bakes are expertly made for us here in Edinburgh by Saltire Patisserie. Whether you fancy a cheeky croissant for breakfast or a muffin for an afternoon snack, we cater for all tastes at Mary King’s Coffee House. Our Coffee House is the perfect meeting place for Edinburgh residents meeting friends, families on a day out and visitors to the city alike. Escape the hustle and bustle of the Royal Mile and enjoy a hearty soup and sandwiches, a baked potato or indulge with a cake and coffee. 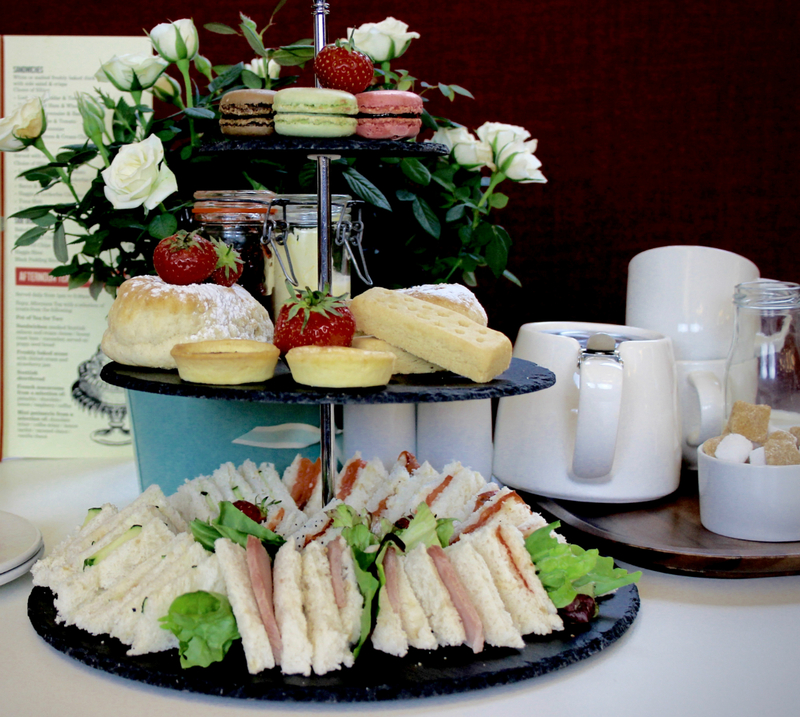 Or if you fancy a real treat, why not try our sumptuous afternoon tea, presented with a glass of prosecco! The impressive, fully licenced Coffee House has a beautiful setting in the majestic former Burgh courtroom, within the five star rated Real Mary King’s Close visitor attraction. On the historic site previously was The Royal Exchange Coffee House which operated between the mid-18th and early 19th centuries. At its height, the Royal Exchange Coffee House was one of the city’s main talking shops where key figures of the Scottish Enlightenment met to debate the issues of the day. We love talking about our locally sourced products, if you have any questions feel free to ask us in Mary King’s Coffee House where you will enjoy a truly Scottish experience! Previous PostPrevious Rare Dinosaur Species Unearthed on the Close!